Does Turmeric Help With Fibromyalgia? Anyone who lives with chronic pain will sooner or later hear about turmeric. This spice has been used medicinally for ages. It’s now extremely popular again. Turmeric contains natural anti-inflammatory agents. Inflammation is what causes pain. So if you can reduce it, you should feel better. In my battle with widespread body pain, I know that’s true. Less inflammation does mean less pain. So I’ve worked hard to get my inflammation level under control. I’ve used a variety of methods to reduce inflammation naturally. Some of them were herbal remedies. A wide range of medicinal plants contain natural anti-inflammatory compounds. Turmeric is just one of them. There is scientific evidence showing turmeric can help reduce inflammation, at least in animals, according to the University of Maryland Medical Center. So, should you take turmeric to help with chronic pain? Not until you consider this. The UMMC also noted that turmeric may not work as well in humans. It cited human research with injected curcumin, and the results were spotty. However, curcumin is just a component of turmeric. Most herbalists strongly favor using whole herbs. This is always what I try to do as well. When I tell my readers about herbal remedies, I choose ones that contain the whole herb, and not just isolated parts. That’s because it’s possible that all parts work together, in a way that isolates cannot. So a study looking at just curcumin may not yield the same results as a study that followed people who took whole turmeric. It seems as if turmeric can help control pain naturally. For some people. However, turmeric alone doesn’t work for me. I’ve taken organic powdered turmeric mixed with honey, and a little bit of black pepper. It didn’t seem to help my pain at all. So eventually I stopped taking powdered turmeric. 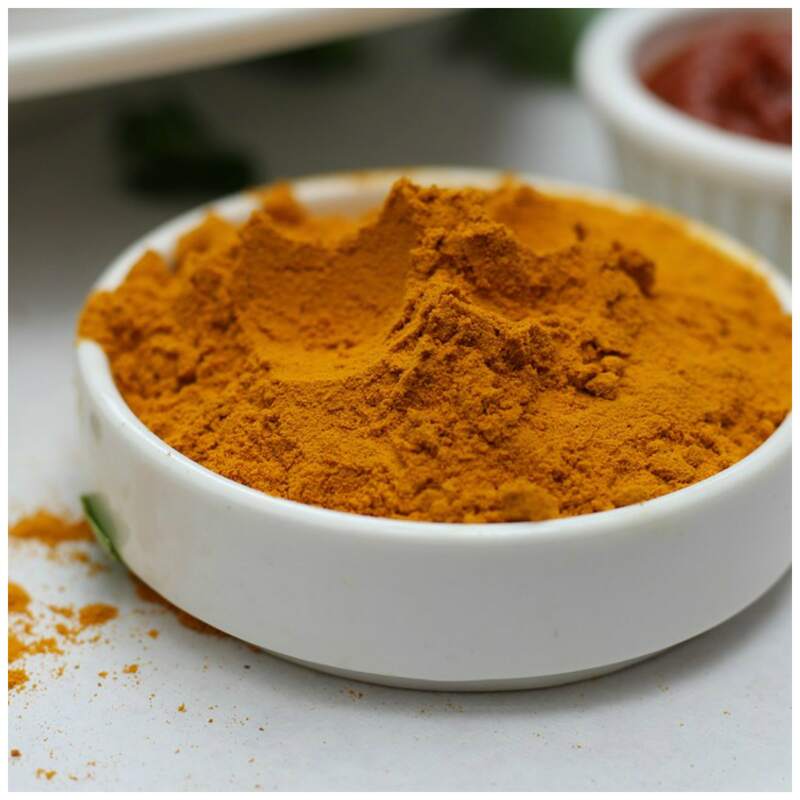 However, I did get better results with Zyflamend, a popular herbal anti-inflammatory remedy, which contains turmeric plus nine other herbs, also noted for their natural anti-inflammatory action. One of the herbs was ginger. Although I love ginger as a spice, it doesn’t do much for me alone, at least in terms of controlling my pain. One herb that does help me a lot, however, is tulsi. This is also known as “holy basil,” and in Ayurvedic medicine it’s also called “The Queen of Herbs.” For me, tulsi is my natural pain reliever. Tulsi is one of the ingredients in Zyflamend. Anyway, I saw much better results with taking Zyflamend than I did with powdered turmeric alone. This may be due to the other herbs, some of which my body responds to better. Or it could have something to do with a positive synergy created by combining medicinal plants. This is why herbalists often recommend multi-herb formulas. You can probably find Zyflamend locally, but it’s also available online. Can Turmeric Help With Fibromyalgia? Anyway, whether or not the turmeric in Zyflamend helped a lot, a little or none at all is something I’ll never know. I did find relief from this popular formula. I don’t believe it’s meant to be taken indefinitely. (Personallyl if I were to do it over again I’d take in just for a few months, at the most.) But Zyflamend did seem to help reign in my out-of-control inflammation. I think it’s also really important to realize that everyone is different. And to not get discouraged if something like turmeric, widely touted as a natural pain reliever, doesn’t work for you. That’s because we’re all different. We may not respond to turmeric. But another herbal remedy may help instead. Fortunately, there are no shortage of medicinal plants. We could easily spend several lifetimes trying them all. Even though turmeric didn’t work for me, other things did. Actually, I used many natural remedies and healing methods to get to the point where I have my life back again. I still have a little pain. But it’s nothing like it was before. We’re all unique. We’re all individual. I had to find my own unique path to healing. You’ll need to do the same. That’s why I created an easy-to-follow online course called Natural Pain Management Strategies. It describes what I did to get healthy again. This course is designed to encourage others to use the natural remedies that work for them. It also explains some of the mistakes I made, so others don’t repeat them. Click on the image below for more information. The information on this site is for discussion purposes only, and not for medical advice. These statements have not been approved by the FDA. These products are not intended to diagnose, treat, cure or prevent any disease. Women who are pregnant or nursing should not use essential oils or herbal or homeopathic remedies unless told to do so by a healthcare professional. FibroNaturalClub.com is a participant in the Amazon Services LLC Associates Program, an affiliate advertising program designed to provide a means for sites to earn advertising fees by advertising and linking to amazon.com.